Landlords have a lot of responsibility. Wherever in the world you operate, if you rent or lease a property, you need to do things right. Small mistakes caused by neglect or ignorance can become disastrous problems, in the future. So, it’s very important to be doing everything correctly from the start. There’s a lot to think about. And, laws differ in every country. So, you’ll have to do a little bit of research yourself, to find all of the relevant information that you need. To help you out with this great venture, this post will go through some of the things you need to consider, before starting off your first tenancy. But, because the law is so different depending on where you are, this information needs to be tailored to you. The most important thing that a new landlord can invest in is a good contract. Thankfully, because it’s very common to lease a property, contracts are easy to find. When it comes to choosing a contract, you should make sure it specifies all of the information you need it to. It should detail the amount of rent to be paid, when it should be paid, and what happens if payments fail. It should also cover notice periods from both sides, as well as the contract length itself. Think about areas that could go wrong. For instance, a tenant may leave without notice, losing you money in the process. Under these circumstances, it can be possible to take a chunk of the tenant’s deposit to cover the time that the property will be empty. Obviously, it takes time to find a new tenant, so you need funding during that time. A contract is best written by a trained professional. Depending on where you are, this will either be a lawyer or a solicitor. But, they both do the same job. If you go through an estate agent, you can usually have the contract written up by them. Of course, both of these methods will cost you money. So, if you really can’t afford to spend, you may have to look to free options. Online you’ll find loads of resources available to get you started with a template contract. You will usually have to edit the contract yourself a bit, though. An inventory is a document that covers the contents of the property. It is a record of any damage, items, and the general cleanliness of the property. It’s used to prove whether or not the house is left in the same condition a tenant got it in. In cases where the property is left damaged or unclean, the inventory allows the landlord to take money from the tenant’s deposit to cover it. The inventory needs to be signed by both parties and is usually created when the tenant is present. Make sure that this document is detailed, and that it’s done in the correct format. In some places, you may also need a third party to countersign an inventory. As with most financial risks, you can have your landlordship insured. Insurance like this covers problems with contracts and legal issues. It may also cover damage to the property which can’t be repaired with the deposit. With the costs and potential difficulty of evicting a tenant, it’s worth having landlords insurance. You can get quotes for landlord insurance from constructaquote.com, just in case. It’s not uncommon to force your tenant to take out insurance as well.Usually, this is called Tenant’s Liability Insurance. It will be included in most property and contents insurance, so it’s not hard to get. It covers damage that the tenant is responsible for, but unable to pay for. With anything big ticket like this, it’s important to make sure that everyone is correctly insured. Getting money from someone who is uninsured, and didn’t put down a large enough deposit, can be a nightmare. If someone simply can’t pay, they don’t have many options, and probably won’t ever pay. Of course, if you own a house, you should have access to it. The rules are a little different if you have a tenant, though. 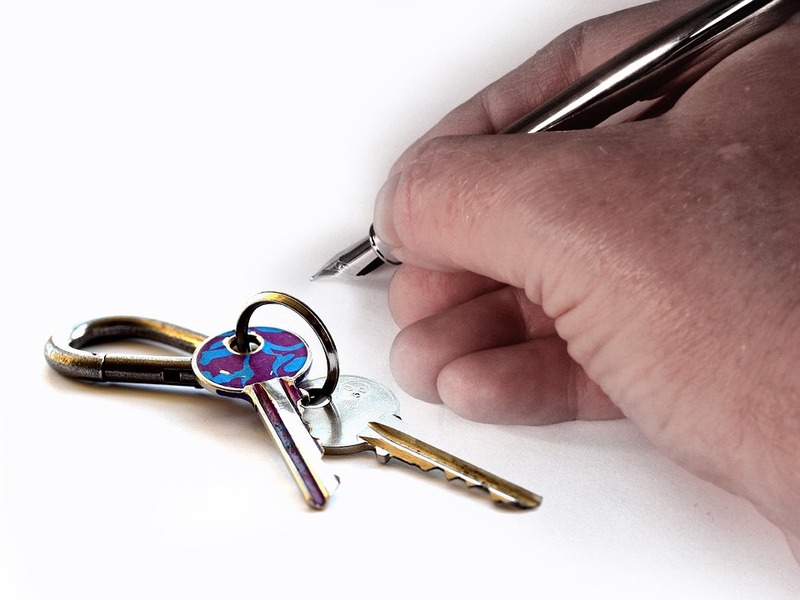 In most places, a landlord has to give at least 48 hours written notice before entering the property. But, once you’ve given that notice, you can just let yourself in. To give yourself this power, though, you’ll need some keys. Key fob duplication is a cheap service, and it can usually be done within a few minutes. Ideally, when you do this, you should have at least two keys. One for yourself, so that you can always get into the property. And, another for the estate agent or property managers. Don’t give spare keys to those who don’t need them, or to too many people. It’s easy to lose track of keys, and they’re the perfect tool for robbers. Having spare keys will not only give you access when you need it for inspections or maintenance. It will also give you a way into the house in emergency situations. As a landlord, you may find yourself completely out of touch with your tenant. At this point, it’s best to go and check on them. In most places, you’ll need to get the police involved. But, having a key will stop them from having to knock down a door! When it comes to keeping the property well maintained and in working order, it’s best to have your own team of workers. Most landlords try to build up connections with local tradesmen. This gives you the opportunity to find a regular worker, who may give you a reduced rate because of the frequency that you use them. You don’t need to be friends with these people; you just need to have their number available. It’s important to keep the property in good condition. The value of the house dictates how much rent you can charge for it. Having things break down on your tenant will make them unhappy, as well. When you agree to a tenancy agreement, you usually agree to look after the property. When it comes to becoming a landlord, you should always do plenty of research before hand. It’s easy to get caught in traps that can cost a huge amount of time and money in the future. Seek advice from your local government, and even talk to professionals for help.